Huntsville, Alabama offers a wide range of opportunities for individuals looking for a place to buy a home in this region. It is located in Madison County and extends to neighboring Limestone County. This is a large city with about 180,105 people calling it home. As the county seat, it has also become a large city for commerce and commercial businesses, especially throughout the Huntsville Metropolitan Area. The city is the fourth largest in the state, making it a very important location. If you plan to buy a house in Huntsville, Alabama, it pays to get to know the area before doing so. 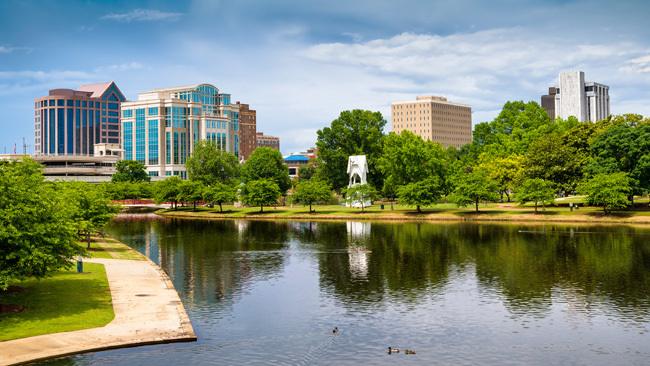 Real estate in Huntsville, Alabama is quite varied with options ranging from large, single-family homes to expansive mansions and smaller condos. The main economic influence comes from the large military and aerospace technology located here. NASA’s Marshall Space Flight Center, Cummings Research Park and Redstone Arsenal are all examples of this. However, the area has a large retail sector as well including the Madison Square Mall, Parkway Place, and Bright Street Town Centre. There’s a strong historic district including the Twickenham Historic District and Old Town Historic District. Numerous museums, including the Alabama Constitution Village, US Space & Rocket Center, and Huntsville Museum of Art exist here. There are over 57 parks in the city as well. Big Spring International Park is one of the most important while Creekwood Park, with 71 acres is one of the largest. Buying a home in Huntsville can provide an outstanding opportunity for local buyers. The area can help you to be close to work and high-quality schools for the kids. Add to this the numerous of new developments, traditional housing styles, and historic homes, and you have plenty of housing options to choose from throughout the region. The right home, priced within your budget, is easy to find in most cases.